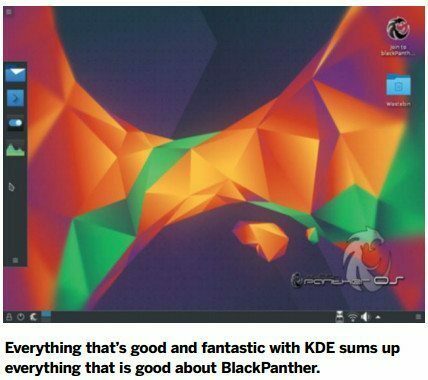 Black panther os 16 review – Shashank Sharma tries out a new KDE distro that’s pleasing to look at, but discovers that sometimes appearances can indeed be deceptive. The Hungarian distribution (distro) has been in production since 2003 and although it was originally based on Mandriva. 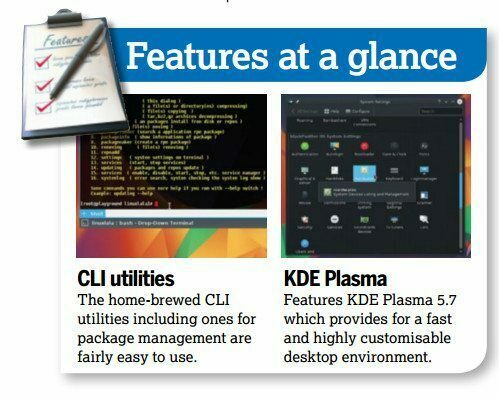 the KDE-based distro is now independently developed. As with all KDE distros, BlackPanther OS is aesthetically pleasing and its colorful wallpaper is a welcome change from the string of patterns and hues that have become the norm with most other distros. The first screen when running the live media is in Hungarian and offers you the choice of several other languages, including English. You choose your language from the list and hit the button on the bottom-right to proceed and all subsequent screens will be in your chosen language. BlackPanther uses the distro-agnostic Calameres installer and the process is very user friendly, fast and straightforward to use. The best thing about a live-installable distro is that you don’t have to go through the rigours of an installation before you can take it for a spin. If our tests are any indication. BlackPanther OS should come with a caveat: ‘For optimum results and to truly appreciate the efforts that have gone into producing the distro. please consider installing it to disk before forming any opinions’. Unlike most other Live-installable distros. such as Ubuntu and Fedora, which offer a seamless experience between live and installed environments. BlackPanther OS hiccups occasionally when running in live mode. Some applications, such as xterm, failed to launch occasionally during our tests but such problems disappeared once the distro was installed. However, this brought about many other issues. Although still early in this review, it wouldn’t be out of place to mention that no other distro has driven this reviewer as batty as BlackPanther did. Most frustrating was the lack of any error messages when certain tasks failed, which had functioned flawlessly only moments ago. The inability to replicate quirky behaviour makes it impossible to track down the problem and attempt a fix. Package management is another area where the distro still requires a lot of work. Admittedly, the plan was for the distro to ship with Plasma-Discover as the graphical package management tool, but it couldn’t be incorporated into the system on account of operational errors. The release announcement advocates the option of App-Helper. Apper and other tools for this task. App-Helper the default graphical package management utility refused to launch. The Applications menu is chock full of useful applications but most of them are not included with the distro. Clicking on these launches the graphical installation process using the default App-Helper tool, which failed to launch during our tests and so the applications couldn’t be installed. The distro also includes its own command-line package management utility which is fairly straightforward to use. To install a package, run the installing packagename command and use the removing packagename command to uninstall packages. These commands work as advertised and can resolve dependencies. The updating command can be used to upgrade the system or an installed application. Unfortunately, the distro doesn’t offer enough documentation to fully acclimatize new users to its unique package management systems. While the website hosts a wiki, it only has a few disparate and narrow tutorials, such as configuring wireless networks or installing Postfix and Dovecot with SMTP-Auth and TLS. The English-language forum doesn’t see much action, but the Hungarian forum is fairly active and so is the distro’s Facebook group. The distro also doesn’t have a clear update policy and appears to advocate the release when ready philosophy. Even though the latest offering comes well over a year after the last, the distro performs like an unpredictable and unstable alpha release. For the parts of it that work, the distro functions flawlessly. But when it falters at a task, it fails spectacularly. Ashampoo Driver Updater Review: Ashampoo Driver Updater – or is it? Elive 3.0 Review: What’s a beautiful OS !